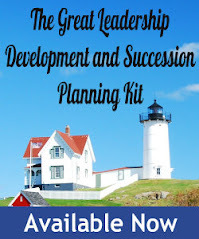 Great Leadership: Are You a Winning Coach? Are You a Winning Coach? Great leadership today lives at the cross section of productivity, management, coaching, psychology, and interpersonal relationship skills. As leaders, we get caught up in new strategies to inspire our teams or build collaborative management structures. But at the heart of great leadership is the most important duty of a leader, which is to run a healthy company. If your profitability or cash flow are suffering, your employees can’t collaborate or be inspired. If your products aren’t selling, no amount of leadership coaching will make your firm successful. As a leader, first and foremost, it's your job to run your business well. In my work coaching world’s top CEOs, I use a variety of techniques to help my clients increase profitability in their businesses. However, there is one exercise that without exception brings game-changing results: the scoreboard exercise. What Are Your Goal Posts? Leaders today measure everything from website visits, to outbound call volume, to service turnaround time, to customer satisfaction scores. While it’s worthwhile to measure the key performance indicators that drive profitability, prioritizing those metrics is also important. I coach my clients to focus on the single action that delivers the results that are most important to their company. What really drives success for their business? Which one action is the most critical? What are their goal posts? I ask clients to be very clear on what success looks like and how points are scored for their business. In choosing your goal posts, be sure to select a leading indicator of the health of your company. While most of us measure new business, revenue, or sales, those metrics are actually lagging indicators. By the time sales are down, things have been going wrong for a while and take time to turn around. Consider the events that precede sales for your team. Are they prospect meetings? Speaking engagements? Business development efforts? Setting your goal posts is about identifying the one most powerful leading indicator for your firm. Gather your team to choose the goal posts together. By making the exercise a group effort, the plan becomes the design of the whole team, not just the leader. This is an important step, because when your team members set the goals for their own performance, they become naturally accountable. Ask questions to help your team identify the most important leading indicator. Then, define as a group the specific score that separates winning from losing. Finally, parse out how many of the activity per quarter, per week, and per day drive the result you’re after. Agree as a team to set your agreed-upon score as the top priority. This way, when distractions come up, team members will gently guide each other back towards the goal posts. Once you’ve identified the top leading indicator of the success, treat it like the scoreboard in a football game. While your team may have played great defense or run a couple good plays, the scoreboard is what determines the outcome. Display the scoreboard where the entire group can see it on a daily basis and hold each team member accountable for their performance towards the goal. Once you have your scoreboard in place, assess progress on a weekly, monthly, and quarterly basis. You’ll be surprised how well your team will perform once their scoreboard is featured for all to see with the buzzer looming. Review performance on time and reward your star players. Make a point to celebrate success with your team. Most of my clients are amazed when winning becomes easy once their scoreboard is in place. When your team’s effort and priorities are focused towards one specific goal, winning becomes inevitable. And that is what being a great leader is really about. 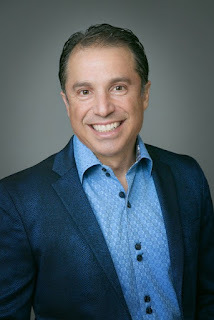 Mark Moses is the Founding Partner of CEO Coaching International and the Amazon Bestselling author of Make Big Happen. His firm coaches over 100 of the world's top high-growth entrepreneurs and CEO's on how to dramatically grow their revenues and profits, implement the most effective strategies, becoming better leaders, grow their people, build accountability systems, and elevate their own performance. Mark has won Ernst & Young’s Entrepreneur of the Year award and the Blue Chip Enterprise award for overcoming adversity. His last company ranked #1 Fastest-Growing Company in Los Angeles as well as #10 on the Inc. 500 of fastest growing private companies in the U.S. He has completed 12 full distance Ironman Triathlons including the Hawaii Ironman World Championship 5 times.